As we have enough talked about Earning money online programs in Urdu, but we will continue discussing better ways and resources of Online working at home. today we are discussing Adsense Again. Adsense is a program which is really interesting for those who have a website with a good amount of visitors. Google Adsense can be implemented easily with full support & help of Google itself. It is 100% true & real that Google Adsense pays the highest amount of money to its publishers for many years. 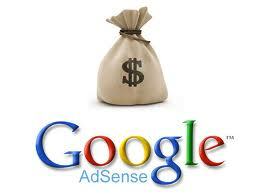 I am one of them who has been earning money with Adsense from valuable content. But to comply with Google's terms & Conditions & Program Policies is the most important part of this program. Google Adsense payment method is very terrible and suitable for everyone, after reaching US $100 you will receive your payment within a month via Western Union. Which is almost a great option to receive money from anywhere in the world. There is not such advertisement company like Google who can pay you via Western Union but Google is the only one which does. How Much can we earn with Google Adsense? There is no exact answer to this question, because Google Adsense is unlimited, one can earn $10 monthly but the other one can $10000 monthly with Adsense. But adsense is related to website's content & visitors you have on your site. You may have a single site, multiple sites or just some blogs with www.blogger.com. But the main thing is visitors, if you have tons of visitors then there is many ways to become a milliner. But always respect to the policies provided by Google Adsense to its publishers. Stay Tuned! and also watch below video Tutorial in Urdu about Google Adsense.